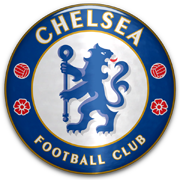 I returned to my Chelsea save I previously did not go on for abit : after a very bad season I plan to get my boys back on track to winning games in Europe and the league before maybe joining another club for a new challenge. As well as my Chelsea job, I also take the reigns at Argentina: managing the Under 23s squad in the 2016 Olympics where we were beaten in the Final : I have now given the job elsewhere. A victory in the 2nd derby of the season, the 2nd against Spurs. Previously we were defeated 1-0 and after 2 changes between them sides, Gotze and Mandzuckic in for Benteke and Messi helped us to the win. After assisting 2 goals in 2 minutes (Hummels and Kompany) my man of the match has got to be Mario! We planned defeat for them winning the league title over us by 1 point and these recent results and after a defeat in the previous final I thought we had no chance. As City won the League and the FA Cup we only quallified for the shield by finishing 2nd in the League. However we retained our title and Roberto Mancini, who came back to the club after Manuel Pellergrini left to join Barcelona, was defeated and lost out on his first Community shield in his 2nd reign as Manager. 1-0 down and 9 men with 48 minutes gone and we end up winning 4-1. Same team with 1 change and the following game we are beaten 1-0 by Stoke, suppose we worked hard and it was a 3 day difference. Would like to put my tactic, I designed myself on this site, if anyone knows and is reading this please can you tell me how. To start of the year after my defeat in the Final of the Confederations Cup against Italy, on penalties. I have resigned from my post to replace Brendan Rodgers as Manager of England. I previously was the manager of England and I am excited about returning.